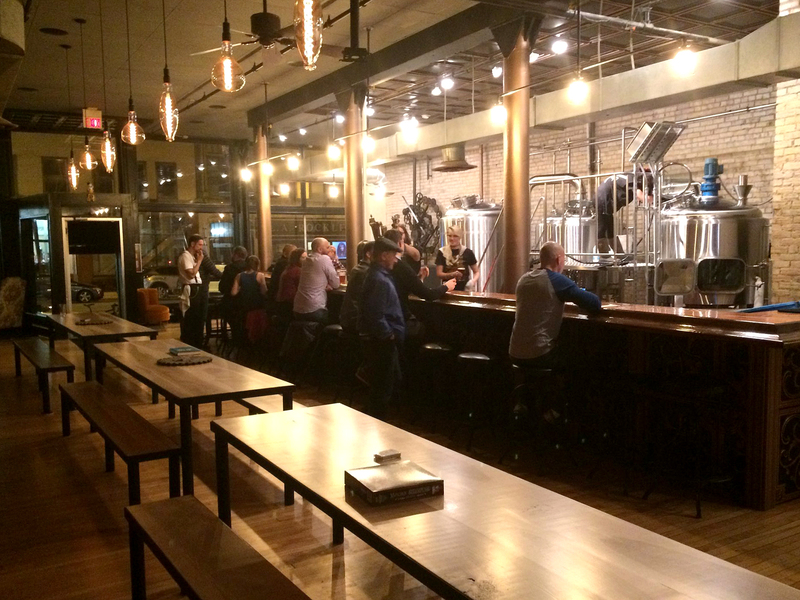 The Twin Cities have no shortage of breweries—we are lucky enough to live in a city where it seems as if a new brewery or taproom opens around the corner every day. But when I learned that one of these new openings involved a steampunk-themed brewery, I needed to know more. The cofounders and co-owners of Clockwerks Brewing, Brett Michlitsch and Lonnie Manresa, were kind enough to sit down with me to answer my questions, tell me their origin story, and put in a plug for game nights at the brewery. 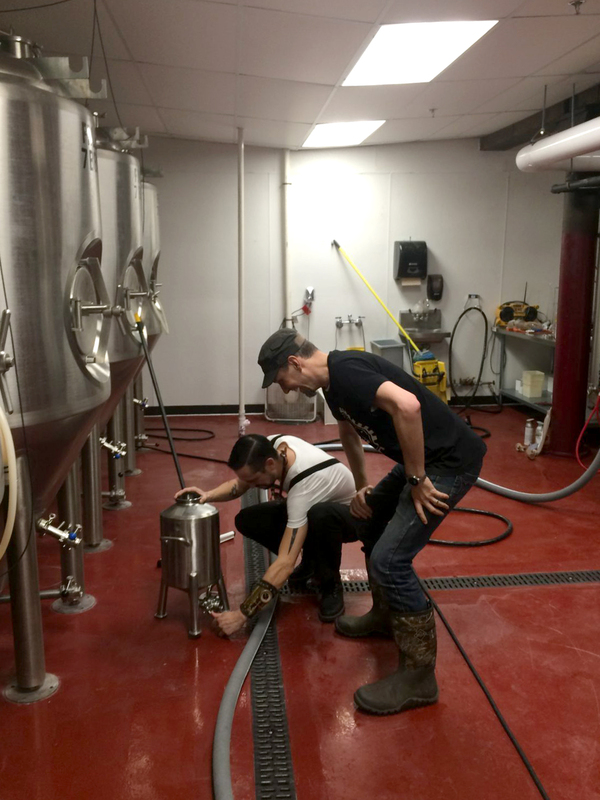 Clockwerks Brewing is very clearly a labor of love. Brett and Lonnie first met in junior high. Lonnie’s dad (pictured above, third from right) was a home brewer and bottler, patient and knowledgeable and eager to support others in the art of home brewing. Lonnie grew up brewing at his father’s side, part of a long family tradition—all of the males in the Manresa family eventually learn to brew, even those who have married in. Brett went on to study engineering at the University of Minnesota and quickly became interested in the science of beer making, with the support of Lonnie and Lonnie’s dad, who gave Brett his first keg system. The plan for Clockwerks, which had its official grand opening last month after a soft open earlier in the fall, began to coalesce about four years ago. The original idea was to create a brewpub, but business modeling quickly ruled out such an expensive endeavor. After taking the hot kitchen out and swapping in some cold-kitchen options like charcuterie, a more manageable plan for a tap hall began to appear. Funding became the next hurdle, but friends and family chipped in to help provide the collateral for a small business loan. About a year ago all of the paperwork was finally set, the lease was signed, and building began in earnest. Almost everything in the bar that didn’t require a license was built by friends or family. Friends crafted the long beer-hall-style tables, Brett’s father-in-law built the copper-topped bar, and other folks built the steam-trunk tables and lights overhead. While the steampunk touches to some of the furniture are more subtle, the signature artwork is far more straightforward: mounted on the wall beside the door is a beautiful sculpture composed entirely of gears, with two spikes positioned in front—eventually it dawned on me that I was looking at a clock. When I asked why they chose the steampunk theme, Lonnie explained that they’ve always liked how romantic, classy, and timeless steampunk art feels. 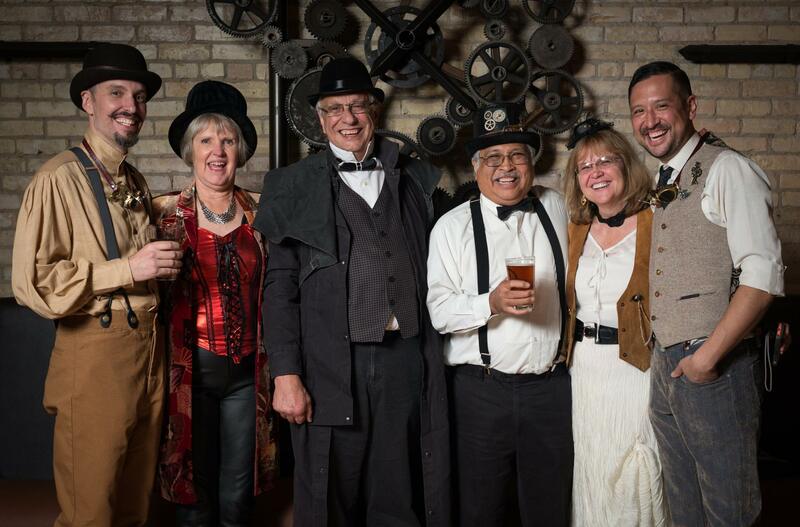 A steampunk philosophy also complements their current brewing strategy: bringing back the old for a new generation. After traveling in Europe and becoming enamored with German beer styles, Brett wanted to focus particularly on lagers. “Our philosophy behind brewing is we pick traditional styles that we like, and kind of nail those styles as best we can,” he explained. “Our thing is we kind of resurrect old styles and present them to people.” Lagers and session styles are the beers you can expect to find on tap—easy, drinkable flavors that have fallen in popularity in the age of the IPA. Other types of beers you are likely to find at Clockwerks are English special bitter (ESB), Altbier, pilsner, and a rotating guest tap. In honor of Lonnie’s father (whose Smiling Baby EPA was in rotation when I visited), one tap will always be held for a batch by a local home brewer. Clockwerks will be responsible for brewing these special batches for the public, but the duo strongly encourages home brewers and brewing clubs to help with the process (Says Lonnie, “We expect them to be here!”) Down the line, they are hoping to work in doppelbocks and trippelbocks, along with a dark series for the infamous Minnesota winter nights. 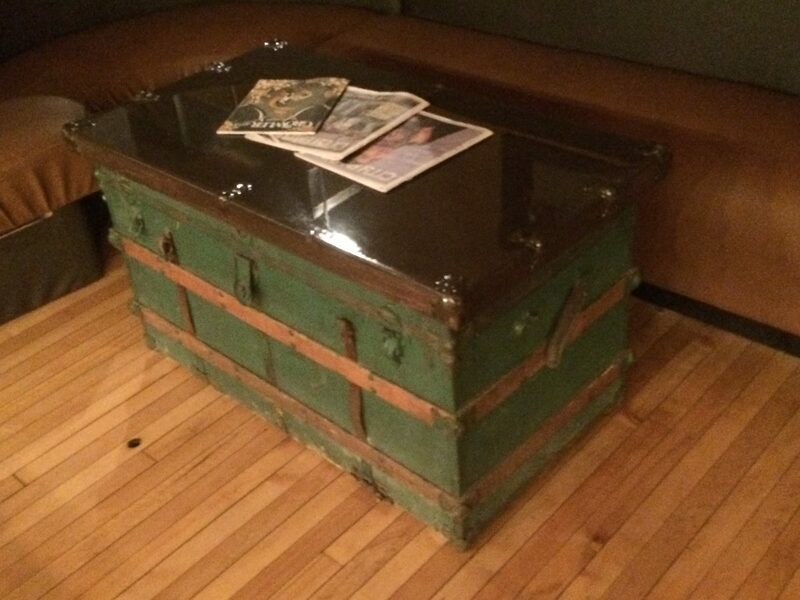 The men of Clockwerks are keenly aware of the community potential for their highly coveted downtown gathering space. “We used to play D&D back in the day, and we’d love to host some gaming nights or something like that here!” Brett notes. 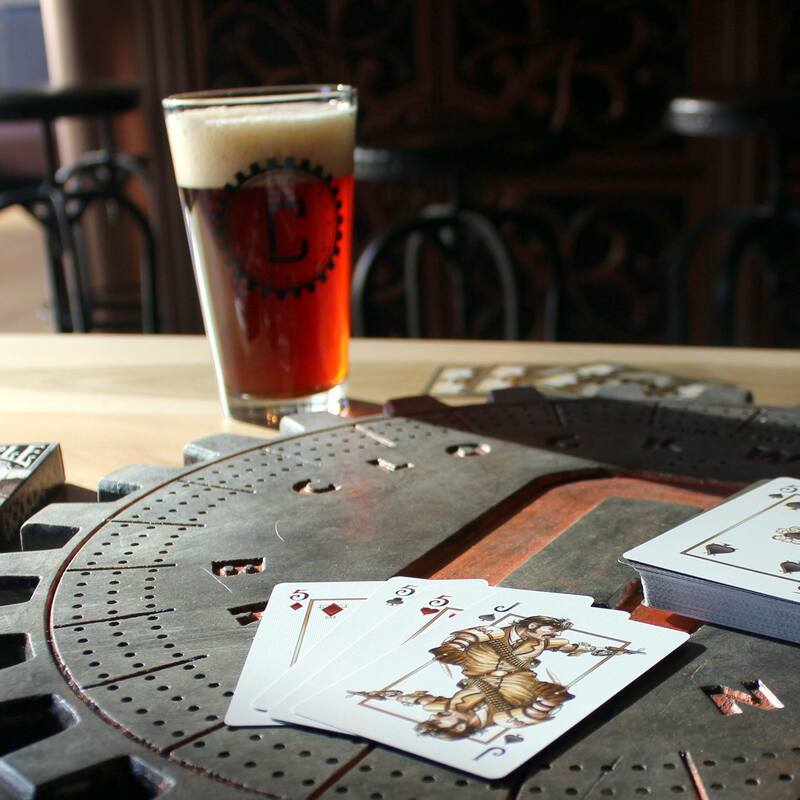 Right now, handcrafted cribbage boards are available for anyone to use, along with the steampunk edition of Munchkins. 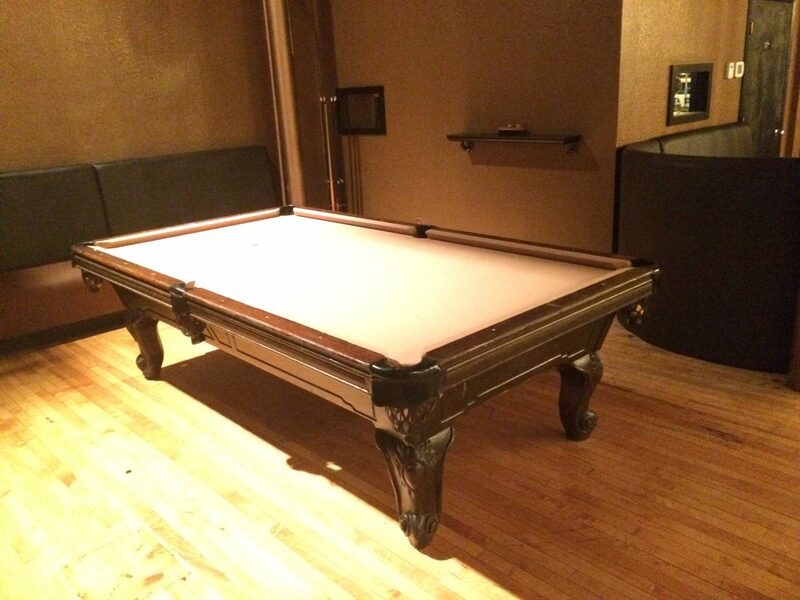 A vintage nine-foot walnut pool table from City Billiards is also available, a leftover from the previous owners. Clockwerks is located at 25 North 4th Street in Minneapolis and is open weekdays until 10:00 p.m., Fridays and Saturdays until 12:00 a.m., and Sundays until 8:00 p.m. The next time you’re downtown and looking for a cozy, comfortable, and geek-friendly spot to grab a brew, check them out—and if you’re looking for a place to host a game night or other geeky gathering, feel free to reach out! Visit Clockworks Brewing on the web at clockwerksbrewing.com or follow them on Facebook. I need to go here! This place looks awesome!